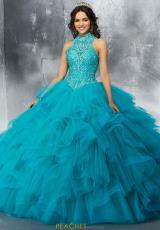 This unique Vizcaya quinceanera gown will make you feel like a modern day princess. Offering a high halter neckline with bead work and embroidery throughout the bodice will make you the center of attention. An elegant lace back leads into a exquisite tulle skirt with a graceful train. 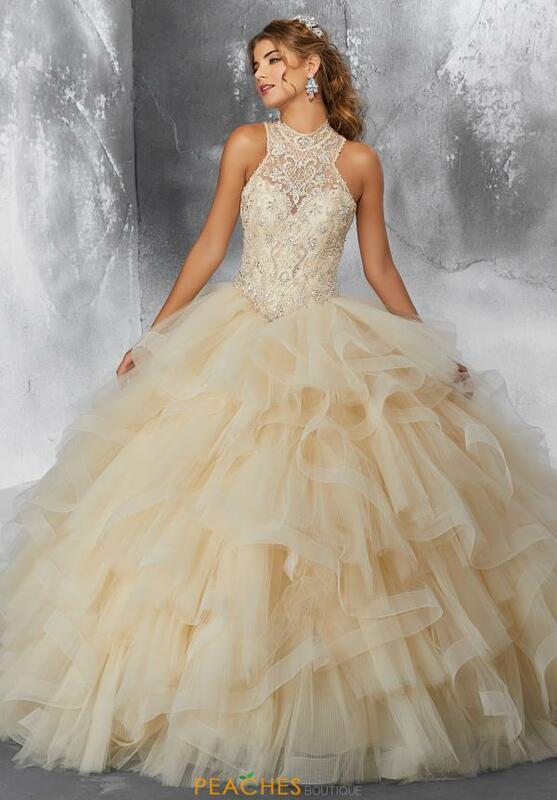 Find this dress and more Vizcaya gowns at Peaches Boutique.